Your child's First Communion dress and artifacts hold some of your most important and cherished memories. It is for this reason that they need to be so carefully looked after in order to ensure that they will remain a source of such great pleasure. Using our Acid Free and Archival materials to store your First Communion dress and associated memorabilia will help to prolong their life and keep them in excellent condition. 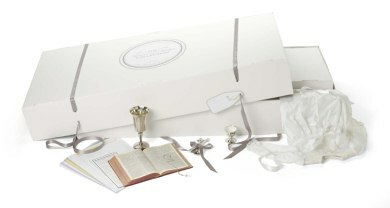 The First Dress Communion Box.